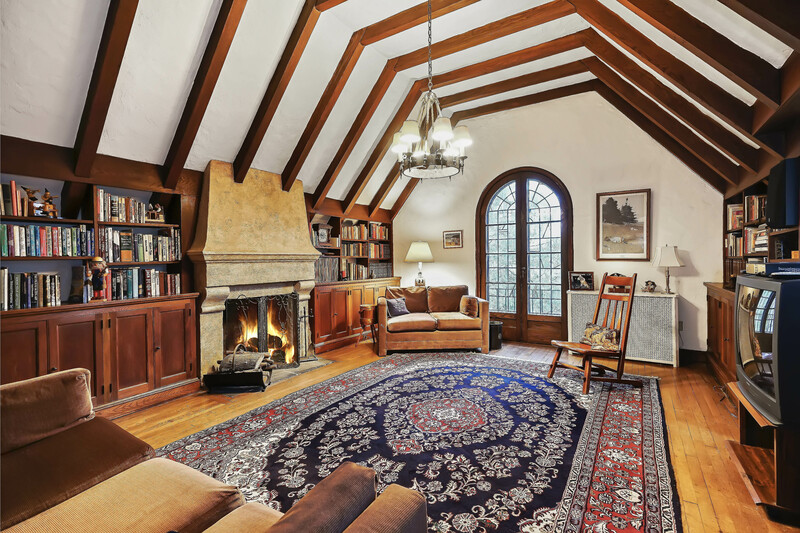 Baronial brick and stone manor house designed in 1929 by the nationally-known architect, E. Dean Parmelee features extraordinarily well-preserved and wonderful architectural details, including steel casement and leaded glass windows, oak-paneling, circular turret staircase and original hand-glazed faience tile bathrooms. 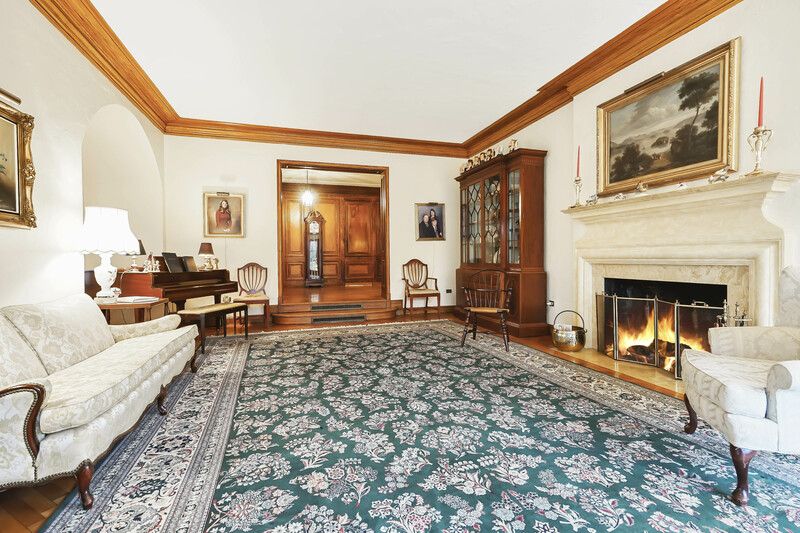 Majestic rooms include a vast foyer with hidden panel doors, powder/cloak room, sunken living room with fireplace and french doors to terrace and formal dining room with french doors to patio. 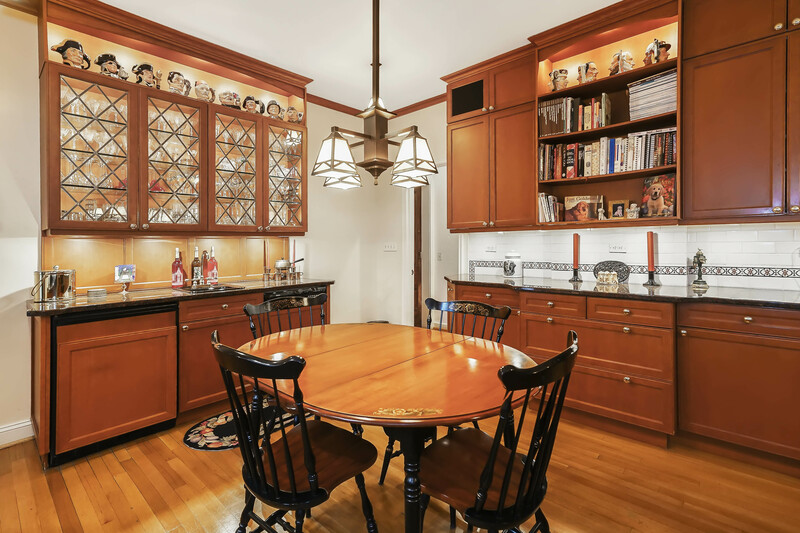 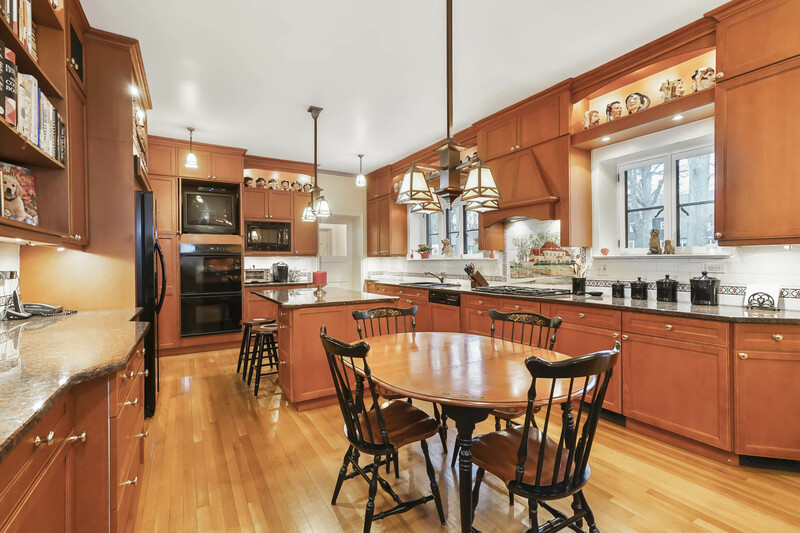 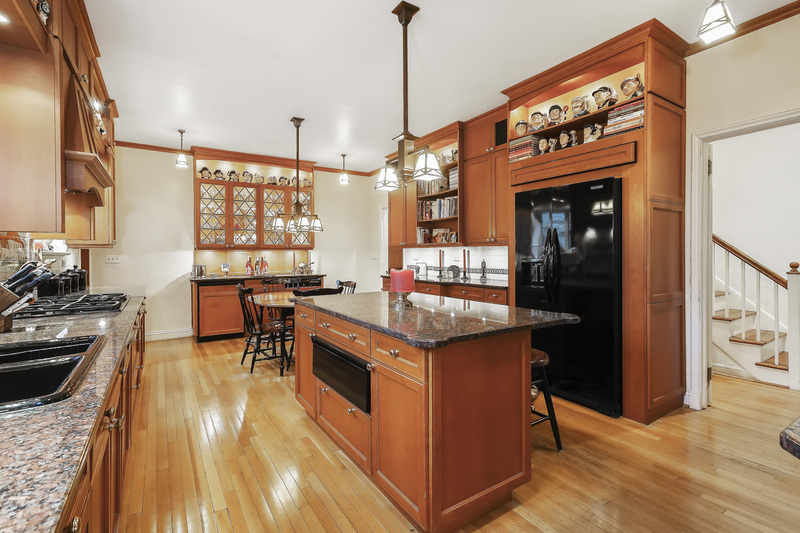 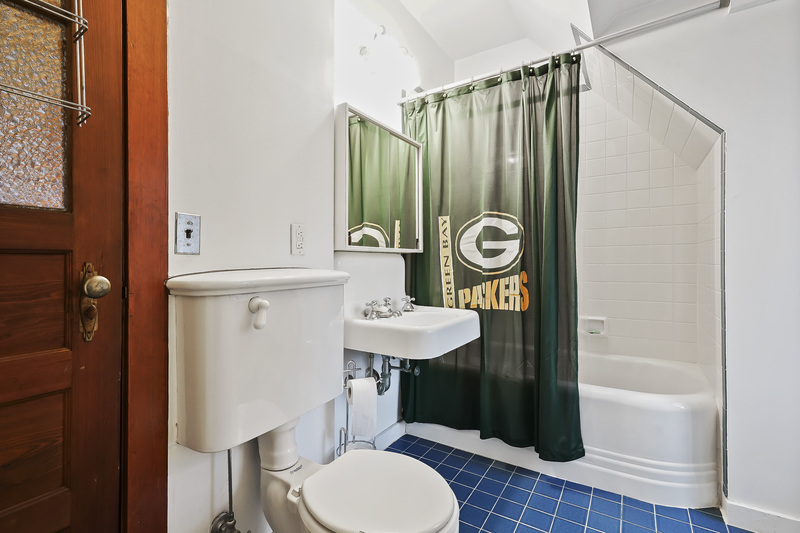 Fully-renovated eat-in kitchen with cherry cabinets, granite counters, range and two wall ovens plus warming drawer, two dishwashers, two sinks, a bar area with leaded glass cabinets and an adjoining playroom with laundry and extensive back hall and staircase. 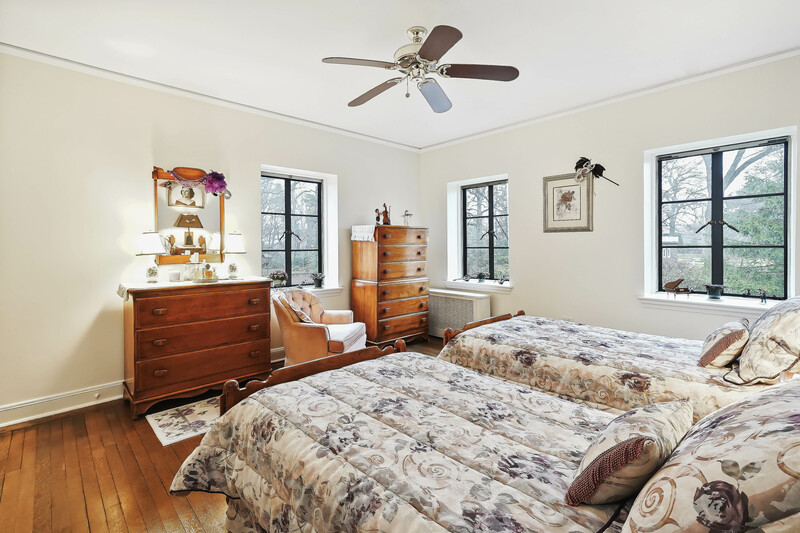 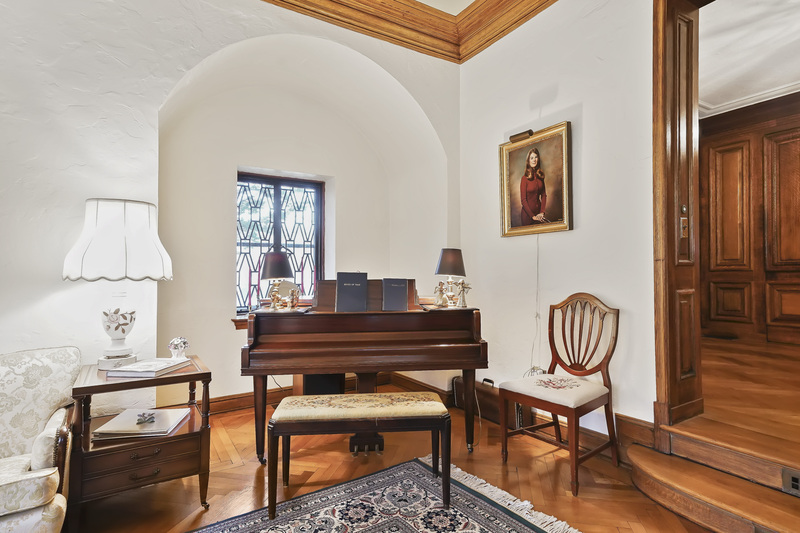 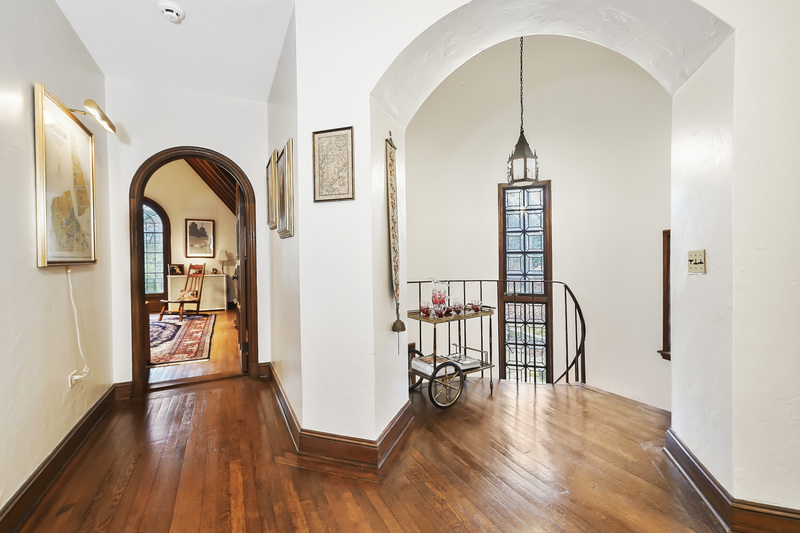 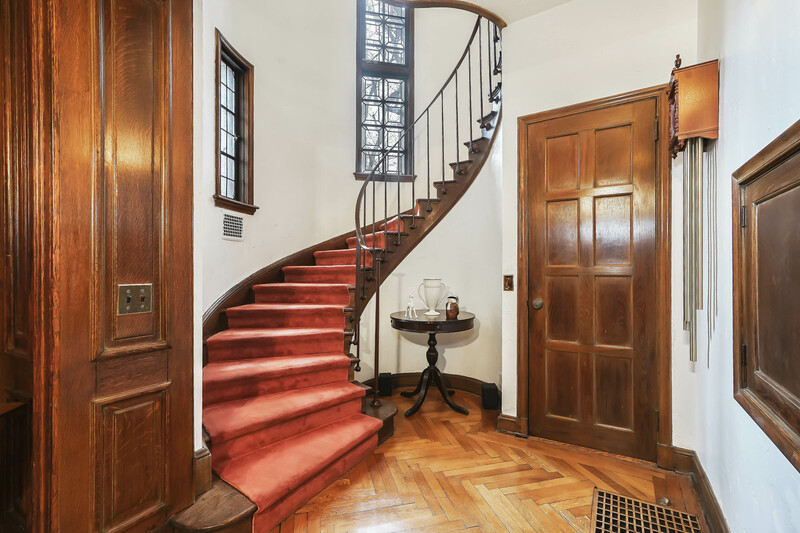 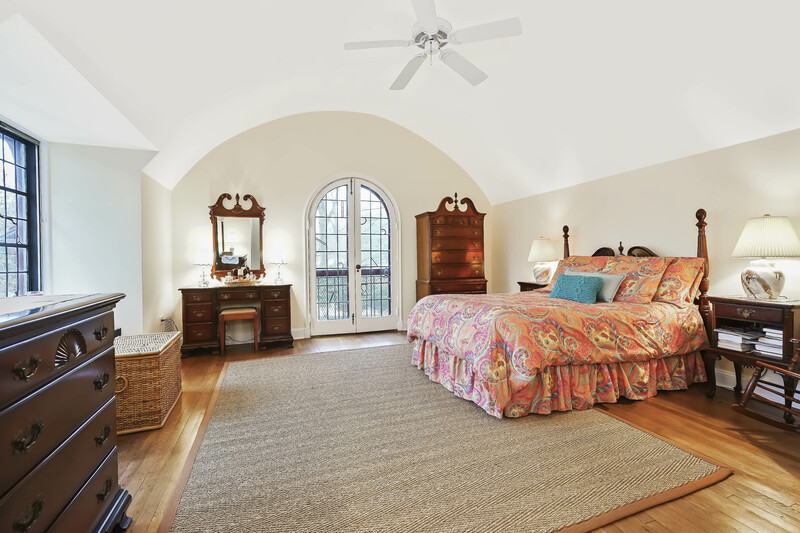 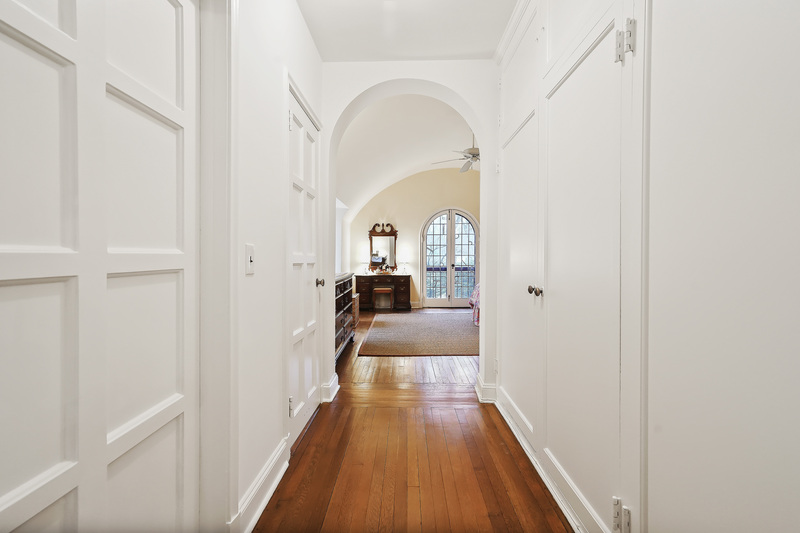 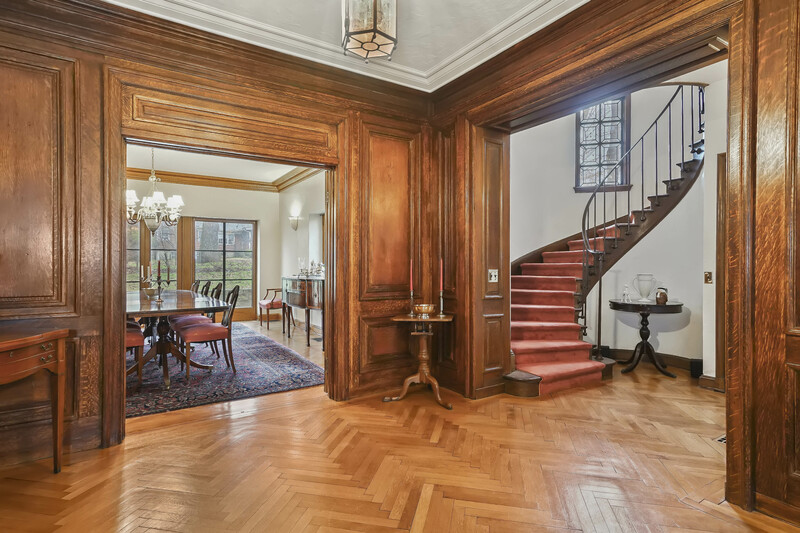 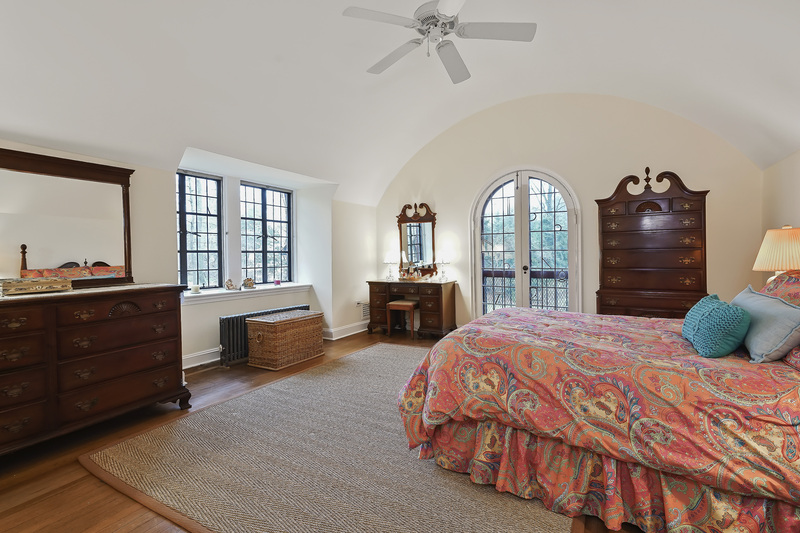 Second floor master bedroom with dramatic barrel-vaulted ceiling, extensive closets and en suite bath, three further bedrooms each with private bath and a beamed cathedral ceiling library with fireplace and original built-in oak bookcases and cabinets. 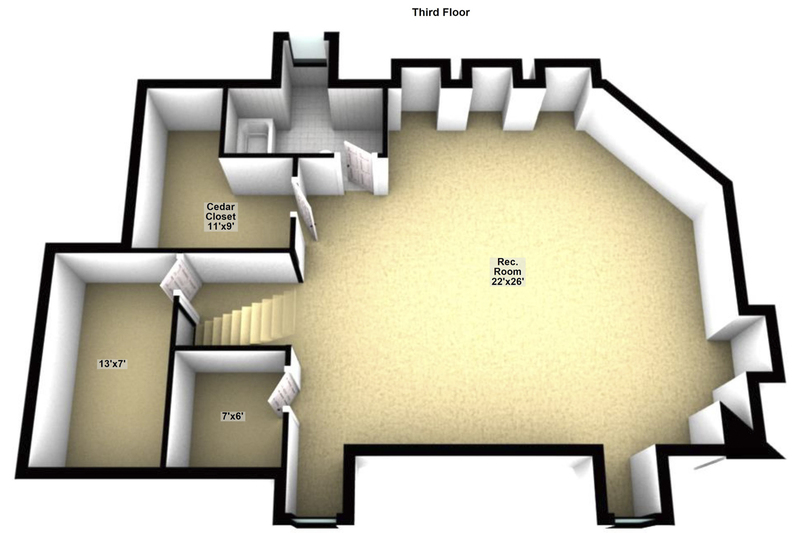 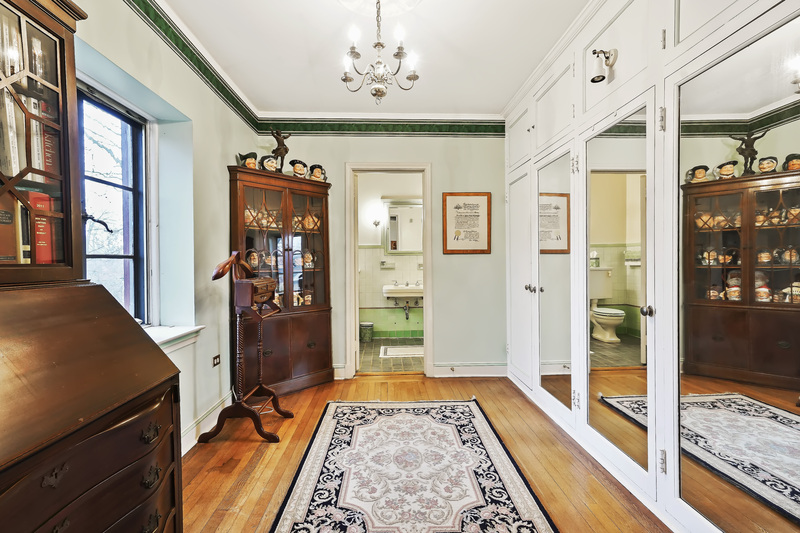 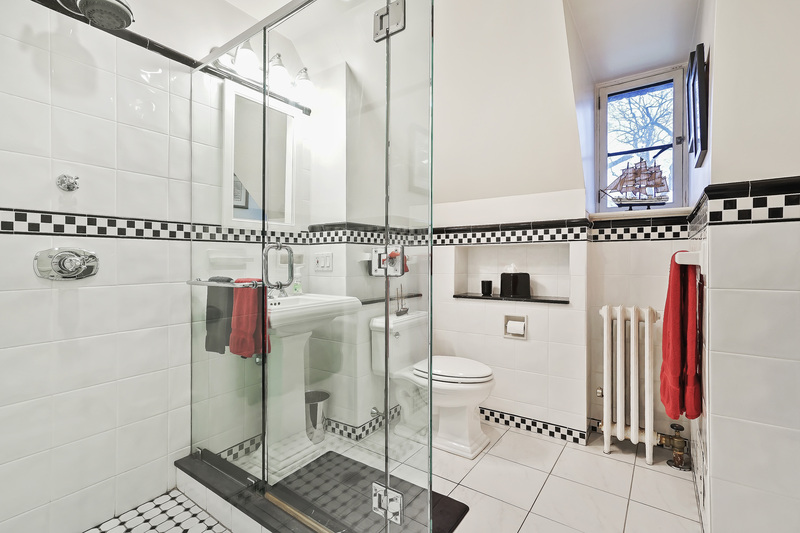 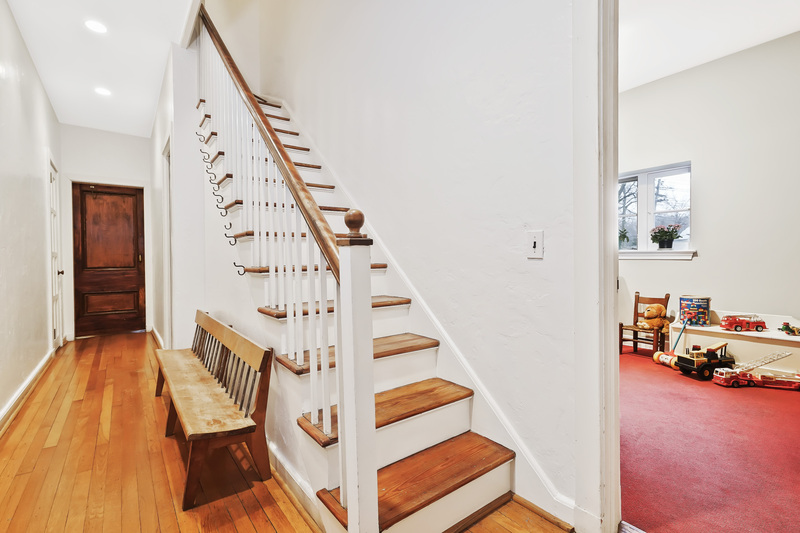 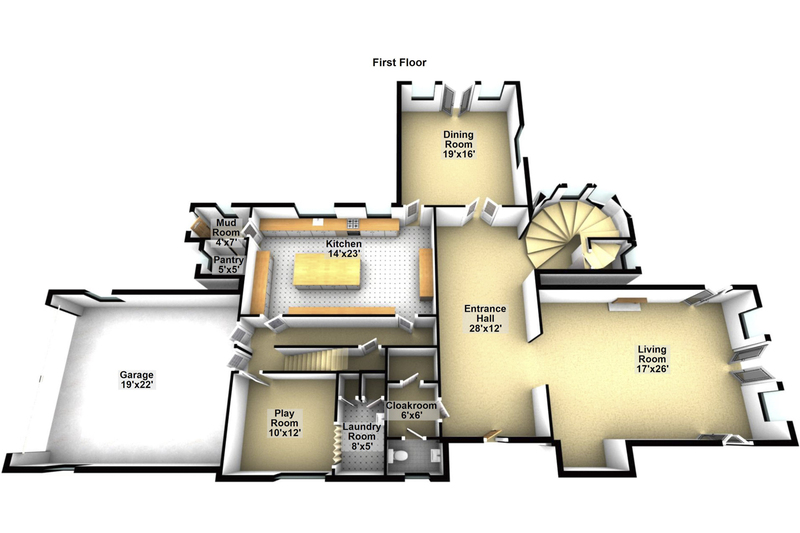 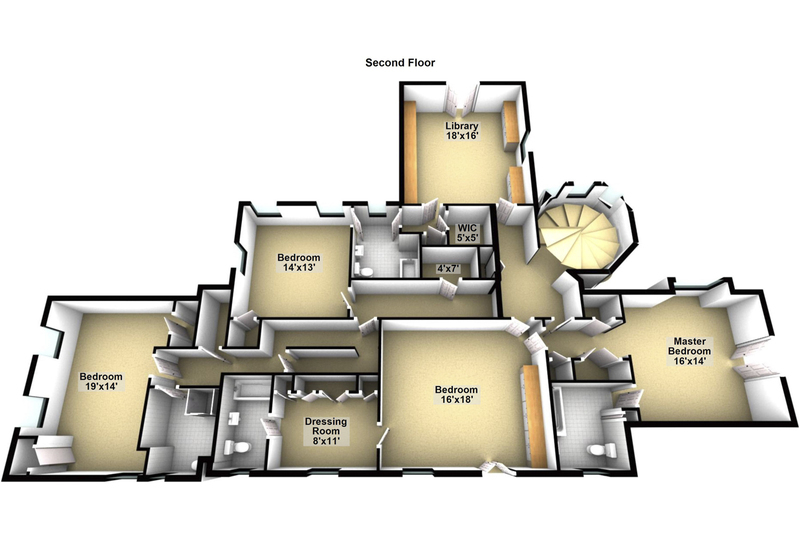 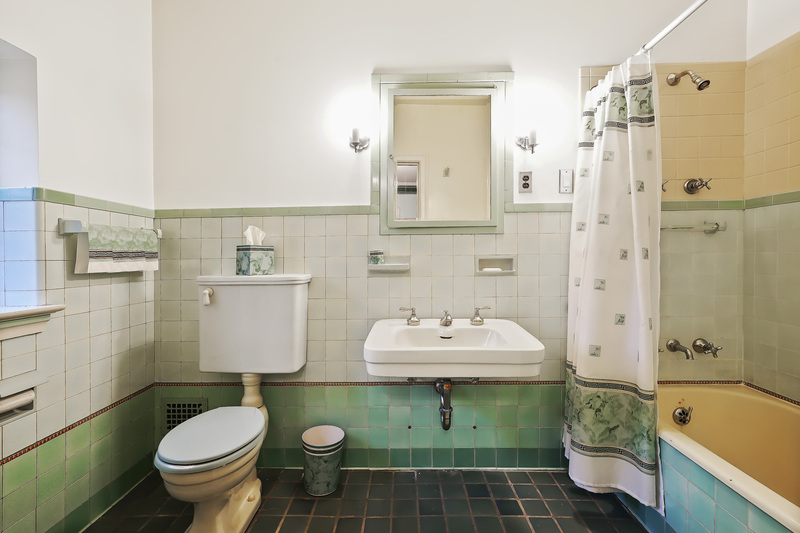 Huge third floor rec room (or fifth bedroom) with full bath, cedar closets and attic. 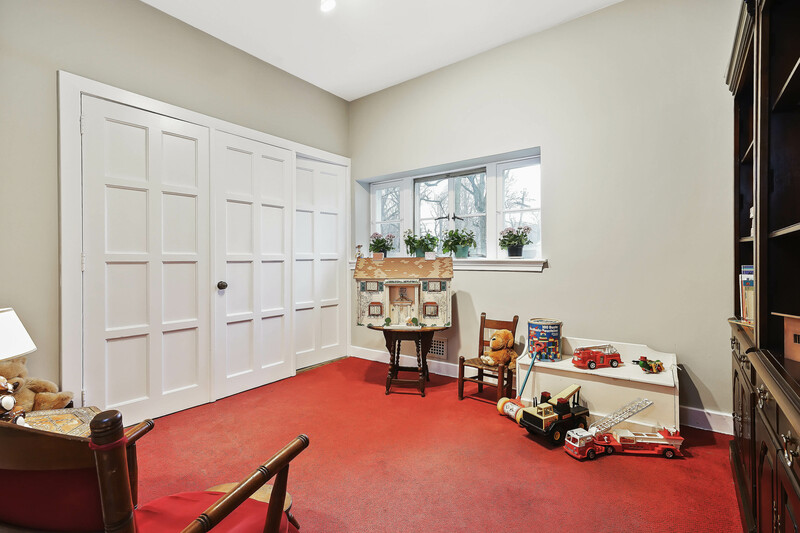 Generous two-car attached garage. 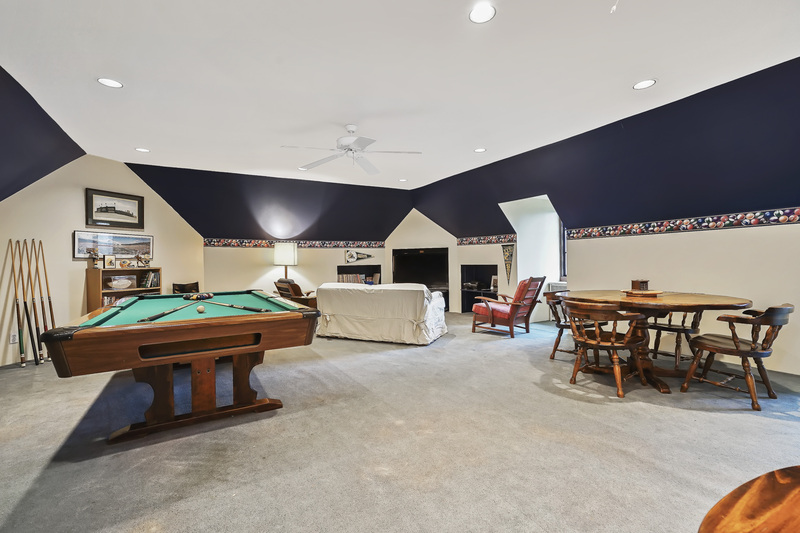 Unfinished basement offers endless opportunities. 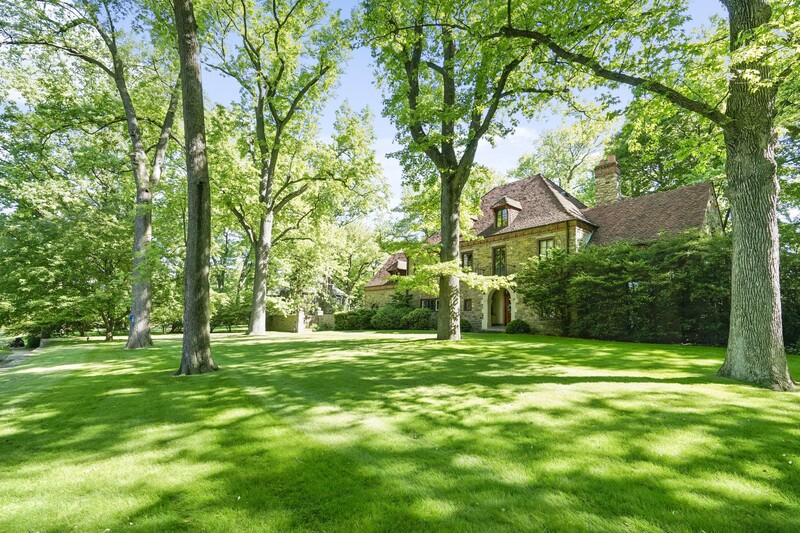 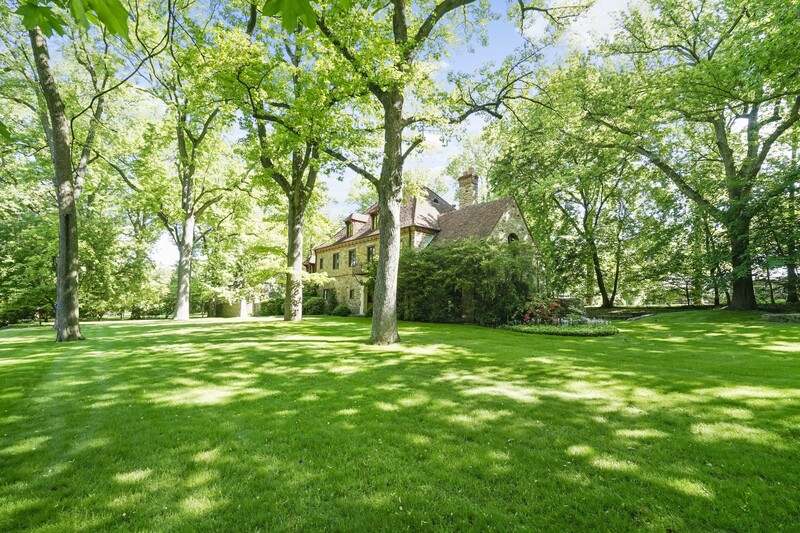  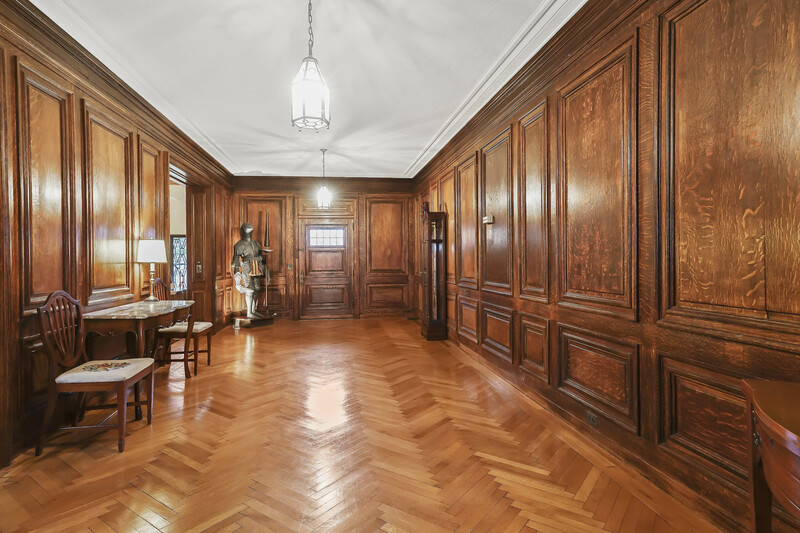 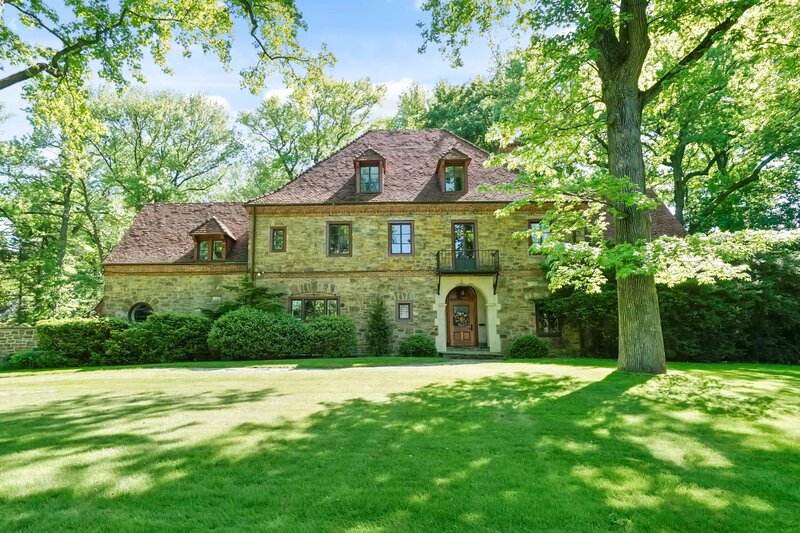 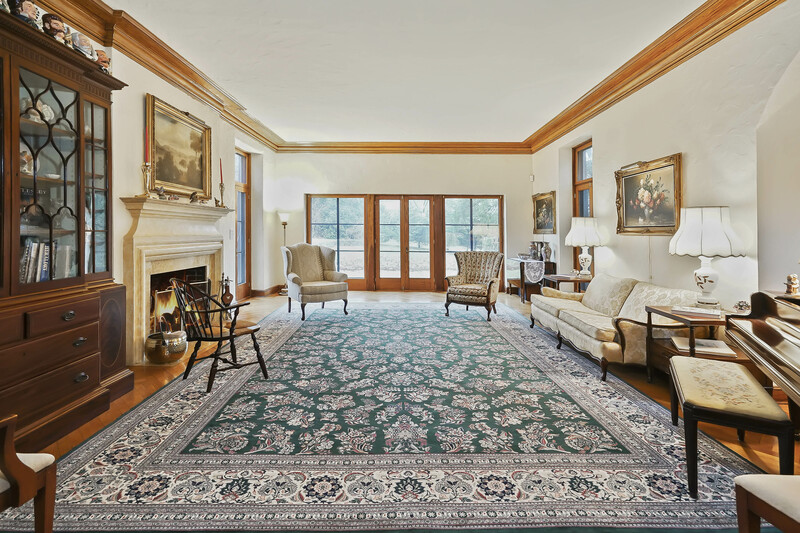 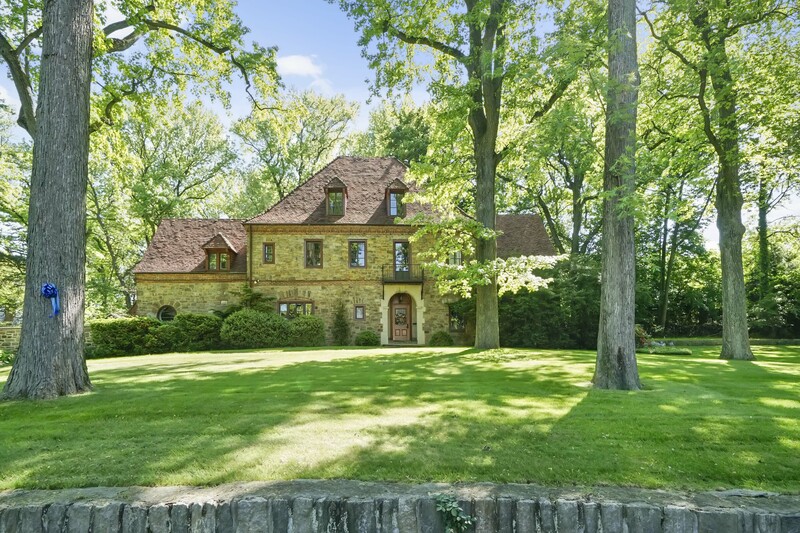 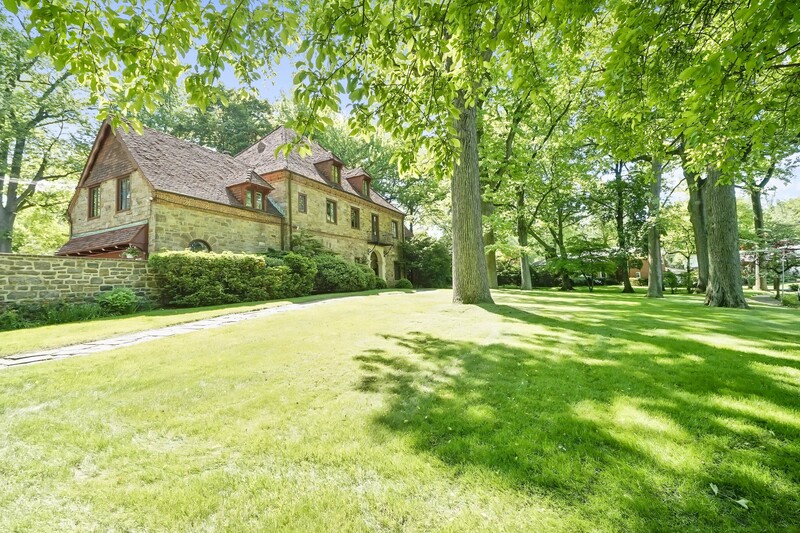 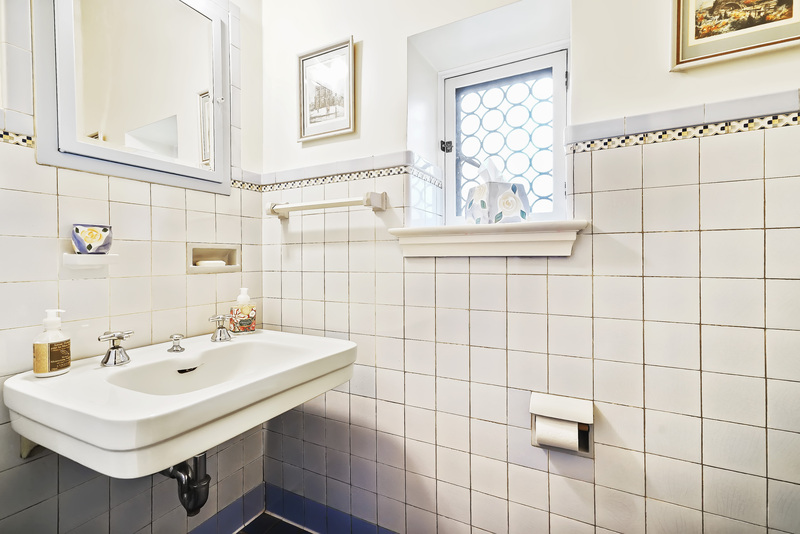 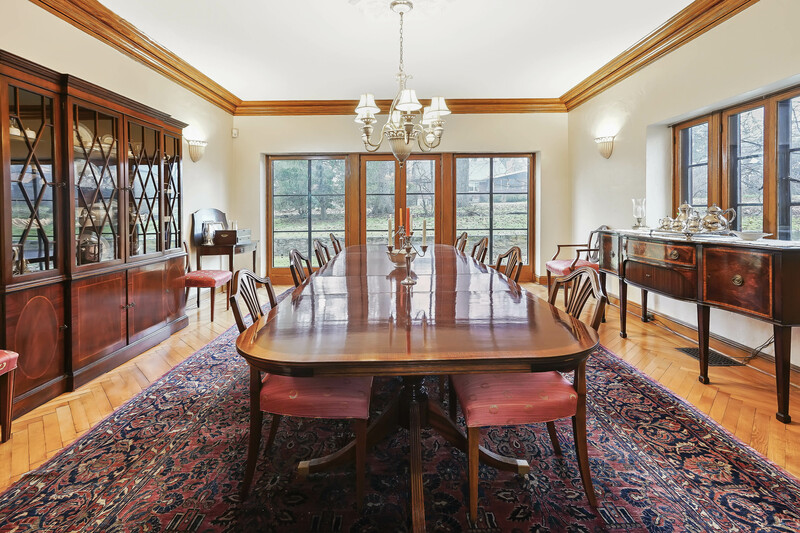 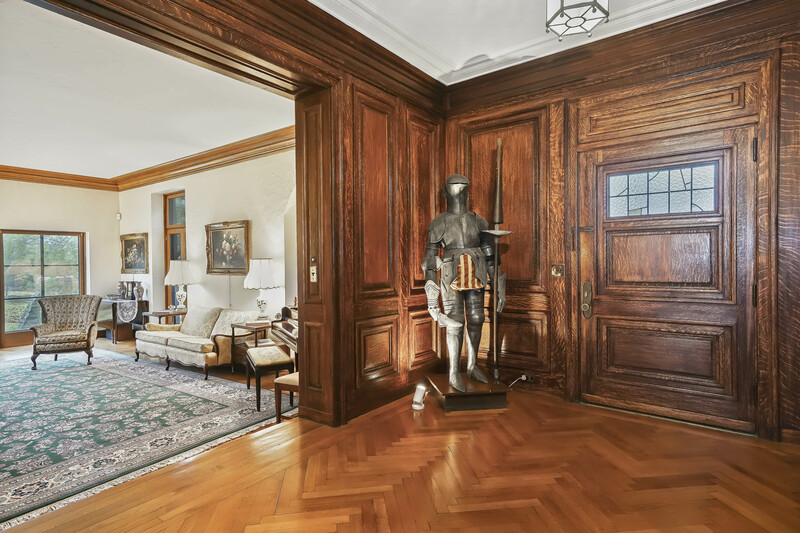 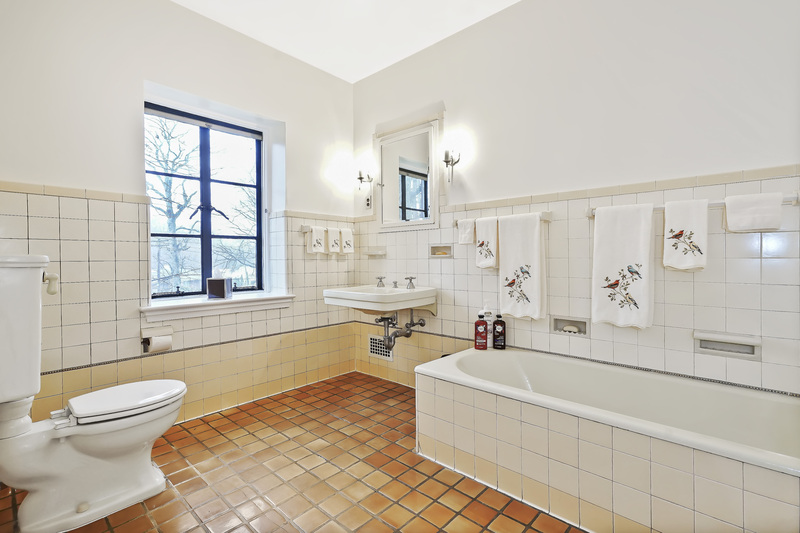 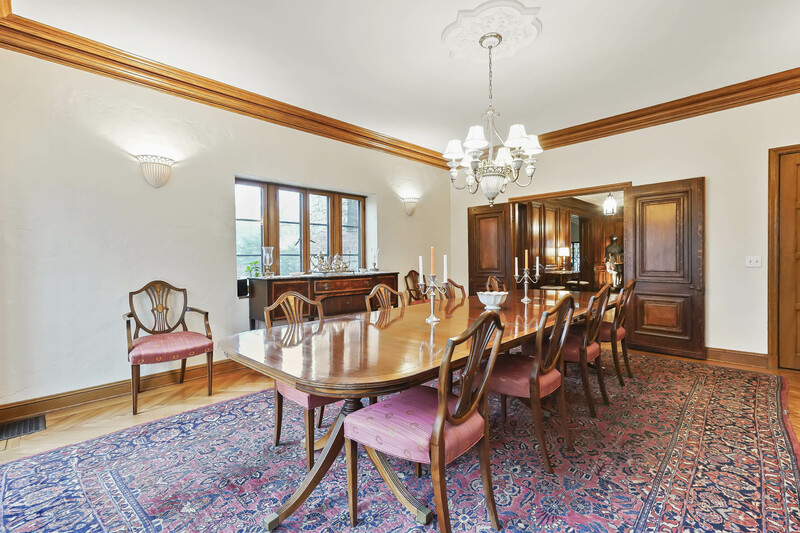 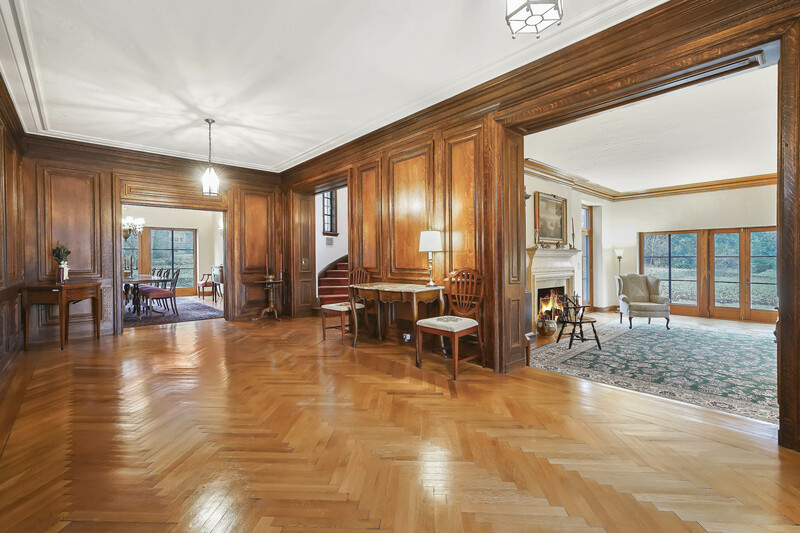 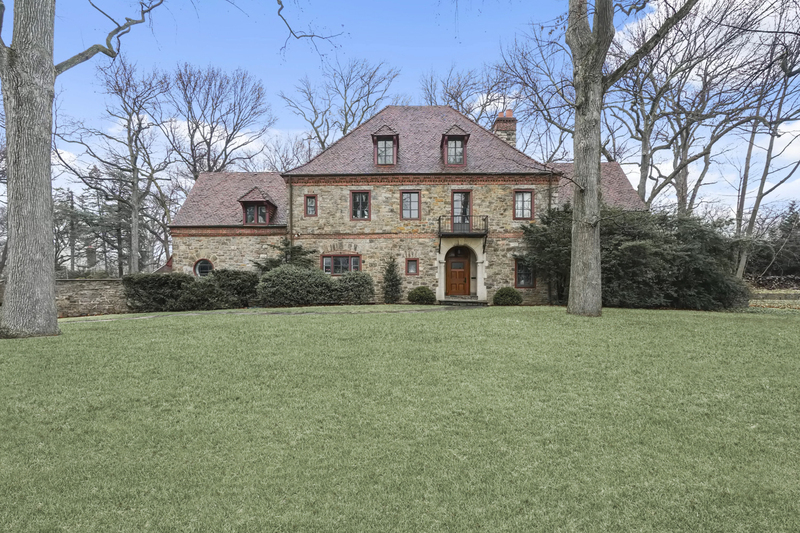 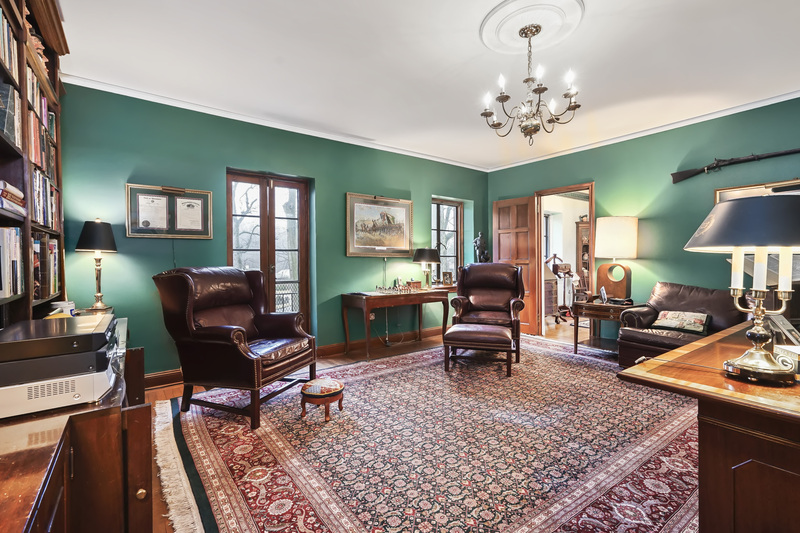 Situated on nearly an acre in the estate area of Pelham Manor, just a few hundred feet from the 3000-acre woodland preserve of Pelham Bay Park with bicycle, running and bridle paths.